NOTE: THIS EPISODE WILL BE AVAILABLE TUESDAY OCTOBER 23RD. 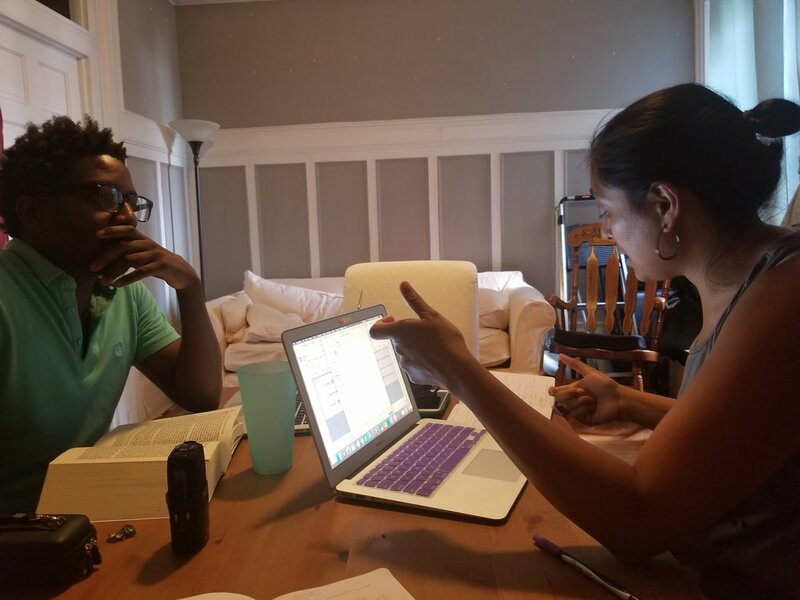 In this episode, Atasi and LaToya recap some major themes that emerged from our conversations with Robert P. Robinson and Dr. Crystal T. Laura on abolition. Listen in as they dig deeper into themes and its role in science and math education. What is it linked to? Harouni, H. (2015). Toward a Political Economy of Mathematics Education. Harvard Educational Review, 85(1), 50–74. 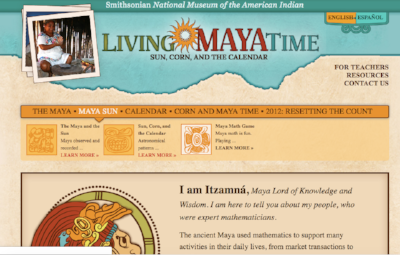 Visit this site to learn about and play around with the Mayan number system. LaToya [LS]: Hey, listeners. Welcome to Abolition Science Radio. We're your hosts, I'm LaToya Strong. LS: Hey listeners, welcome back to episode ... the next episode. We've been so happy to hear all the great feedback and we're so thankful that you all are turning in to us to listen. Atasi, we start every episode off by asking guests what they're listening to, we are our guests today so can you tell us what you're listening to? AD: Yeah, I would love to. So this past week, I happened upon a post and I found ... I really love this group Rebel Diaz if you haven't checked them out, I just made their name really weird but they're an amazing political hip hop group from the Bronx, from the South Bronx and they recently released another song this summer called F-- I.C.E, but it's spelled out FVCK I.C.E. It was so amazing, it was talkin’ history, power struggle, U.S. interventions, really connected to borders and it was an awesome song, like two minutes. So yeah, I've been listening to Rebel Diaz. Have you been listening to anything? LS: I have been listening to ... So 6lack released a new album recently, 6lack spelt with a 6 so it's 6lack. So maybe it's like s-black. I don't know, but I think it's really just 6lack. So I've been listening to his new album which I really like. His music, it's R& B, he's from Atlanta, zone six, which is heavily policed, he does a really good sound. So this album of his had a little more hip hop as opposed to the last album which was mainly R&B. AD: Awesome, cool. I should listen to six-lack, 6lack. LS: Our podcast is just one piece of this larger Abolition Science project that we have and so Atasi, could you talk about that? AD: Yeah, so the Abolition Science podcast is, like you said, one part, but we also have other aspects of this larger pedagogy, larger theory that we like to share with everybody. But you should stay tuned because we're going to have an aspect where we do some curriculum development and a reading group and just like in our podcast series, we're not doing it alone, we're going to be doing it with others and hopefully with you as listeners and hopefully co-collaborators, co- conspirators so stay tuned for upcoming days, events, around curriculum and a reading group. LS: So what we did is we re-listened to the episodes with Robert P. Robertson and Dr. Crystal T. Laura and we pulled out themes that we felt were essential to continue to develop this notion of abolition science. So Atasi, can you take us through those themes and then we're going to get into it and then tease those apart and break it down, or build it up for abolition science? AD: Yeah, so a lot of the themes that both of us, we were thinking about that came up for us as we're thinking of this concept and developing abolition science, they're a broad range but included this idea of enclosing knowledge that came up for both of us, looking at the relationship between capital and labor, the role of capitalism in the practices of both science and math. This idea of thinking differently came up, that all themes and processes have a history, there's an interconnection, interrelationship, and then also dismantling slavery but what does a full citizenship look like? So dismantling to build what? I think I named all of them, all the different kinds of ways in which we took both Dr. Crystal T. Laura's ... her unpacking abolition and education and Robert P. Robertson's historical look at abolition itself and I think that's what stuck out the most, but maybe we can elaborate more about what those themes mean to us. So Toya, are there any of those themes that you feel were pretty strong? Dr. 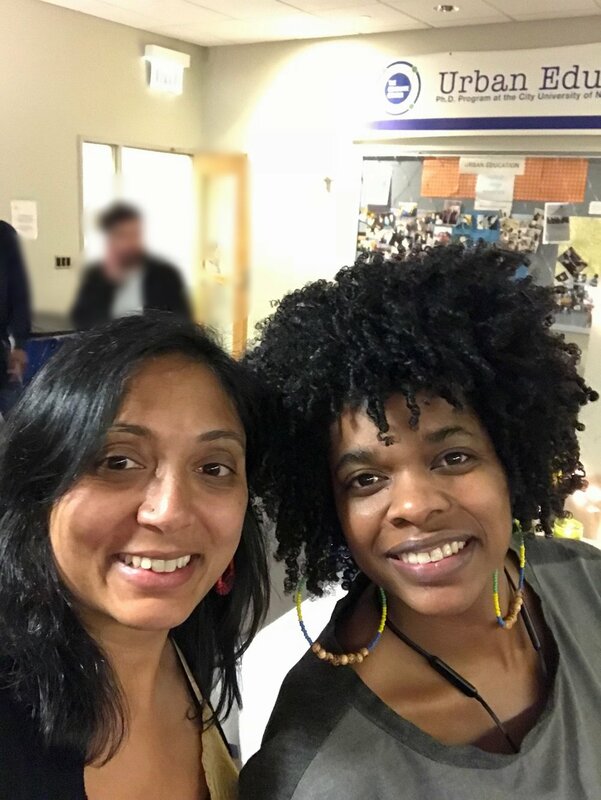 Crystal T Laura: I think of abolition as the deliberate and intentional removal of imprisonment, isolation, punitive institutionalization as the foremost way that we address issues of harm and healing. LS: When she says that abolition is, "The deliberate and intentional removal of imprisonment, isolation, punitive institutionalization," it's really thinking about how science and math encloses knowledge, where some knowledges are considered valid and some isn't. So who gets to be smart, what gets to be considered a lucrative, respectable career around the sciences and around the maths. So what Western Modern Science has done in a sense is it's created a bubble where people can be isolated based on their beliefs about how we come to know the world around us. AD: It's really interesting that you're talking about this enclosure of knowledge. It really makes me thinking of hierarchies because as you're talking about this enclosure of particular kinds of knowledge and you also mentioned that some are considered more valid than others, can you maybe share more about what you think about whether you see it as a hierarchy or not and also, we haven't talked about this yet, but briefly, what does it mean to call something Western Modern Science? LS: Yeah, so there's definitely a hierarchy, or maybe even not a hierarchy, I think there's a dichotomy, you're either in this bubble of Western Modern Science or you're not, unless something in the knowledge or the culture that you have, we can extract it and then use it in the way that we want to. So for me, Western Modern Science is the science that everyone practices, that we're all taught, that really came to fruition during Modernity. So, as Europe sailed out across the world and colonized many different places and put their version of rationality and rejection of the very religious aesthetic they would come from and impose this onto the people that they encountered and subsequently colonized. AD: Yeah gosh, please, please, [inaudible] reading. RPR: So, at the beginning of Looking Forward he goes, "How two theories of the future of America clashed and blended just after the Civil War: the one was abolition democracy based on freedom, intelligence and power for all men, the other was an industry for private profit directed by an autocracy determined at any price to amass wealth and power." We extend the right of public education, which is one of the best things that comes from Reconstruction, one of the best legacies that they didn't get rid of, it's the only legacy from Black Reconstruction that they didn't completely obliterate was public education, but that's because black people, even in the midst of us having these sharp reprisals, one of our first claims was, one we wanted universal education so that we wouldn't have to return to the plantation as a form of maintaining our own livelihood. AD: And in that quote he talks about this right to public education that became something that was mandated or that was advocated for and that was a legacy from Black Reconstruction. So, there's so many aspects that we encounter, that we're a part of, that we're just enmeshed in, that have that history. So, for me, that was another theme that I think helps build this notion of Abolition Science to get to know that history. LS:... but that's what I got for you. AD: Well it's also a pretty big task, there's a couple of reflections I have about how history relates with numbers. One thing that comes to mind is that the number system that we are commonly using today is the Hindu-Arabic numeral system. It's a base 10 system but that hasn't always been, or that's developed over time and so there also has been the base 20 Mayan number system and there's other places in history and in different places around the world that numbers have developed in different ways and so I have come to that understanding through works, through literature, that people have been talking about ethno-mathematics and so it was really situating a mathematical development in historical ways and in different cultures. Kind of like how you've helped to think about Western Modern Science and I think the first show we had together, we talked about different cultures and which science is embedded. So ethnomathematics has also helped fill out some accounts for mathematics specifically but yeah, the number system, base 10, base 20, even the Mayan numerals, they look different. For a one, it's a dot and one through four are dots. So, four dots would be four and then five is like a bar that's horizontal. Even the numbers themselves are, they're not listed horizontally but they're written vertically. So just that in and of itself is interesting to me but that's one thing I think about. LS: Listening to that, I can hear it but I need to see. AD: It's true and it's funny that you say that, yeah I can definitely put up a diagram. Check out our website, abolitionscience.org but also, it's interesting because the diagram, it's hard to do without even practicing. So, I've had students, we've talked about the number system, the Hindu-Arabic base 10 system and then we do something completely different, so I'll even put up a little activity, like a fun game to play around with numbers and it really is hard because you just had to change your mode of how you engage with it. But yeah, I can definitely put that up. LS: Yeah and you talking about ethnomathematics and math being connected to the culture that people are in is making me think about another theme that we had which is capital and labor and the role of capitalism. So can you talk about ... the way I'm thinking about numbers right now in terms of capitalism again is going back to that history piece and thinking about slavery. So, land theft in the Americas and in Africa and other continents around the world when Europe was setting out and how numbers place value, or lack of value, onto bodies or language. So, one human can now equal the same as one goat, or something like that. AD: Yeah, there's so many different ways with which people engage with that looking at history but thinking of the history of capitalism and this mode of production where things become things, like processes of making become commodified, become stagnant and then that can be bought and sold. Everything can be bought and sold but specifically in thinking of math education, there's this one scholar who has really taught me a lot. His name is Houman Harouni and he ... I think he's still at Harvard but he talks about math education from the 15th century [Europe] onwards and what was seen as important. So, curriculum is one way in which things that are valued are reproduced. So the math curriculum from the 1500s onwards really there were different ways you could think about math. So philosophically like, "What is a number?" And thinking in various philosophical terms, or it could be through construction of measurement, like the creating of a bookshelf or whatever you're building. Then there's the math of reckoning which refers to how mathematics for the purpose of accounting where you're reckoning your records of things that are bought and how much they're worth. So that kind of mathematics was really a part of the merchant's activities, the merchant in the formulation and with capitalism ... where you live in a time of capitalism, that form of mathematics education was really promoted. So that's really the ... from this person's research has shown me there's lots of different kinds of ways math has been taught but this is the one that we're most dominantly encountering. How about for you? How do you see this dynamic between capital and labor? You mentioned a little bit in terms of how peoples are categorized as human or not human. Can you talk a little bit more about how you see the role of capital and labor as connected to science? LS: Yes. Maybe there's two thoughts, maybe just one, we'll see. So the first thought is the way in which, I think you said it, the commodification of knowledge, or folks from the US, or from somewhere in Europe, can go into a country that they don't belong with people whose language they do not speak and have no regard for these people, their language and their culture but will go and try to extract compounds or molecules out of plants, or out of the soil to take it back, to create something that they can then sell but none of that, whatever they make from it, doesn't get returned back to the community that they stole it from. So we have science being a tool of capitalism, so science has to afford itself by creating patents or to being the first one to discover something to put your name on this. There's this privatization that goes with science, and then there was another thought, I just lost my train of thought. AD: You know actually, you've made me think, as you're sharing that that the activity ... it's the scientific activities that coincide with accumulation or the forces of capital and recently there was a demonstration and there was a lot of organizing around this about certain technologies that are used for surveillance purposes. So Cosecha and ... many other immigrant rights and immigrant labor organizations have drawn attention to companies that are complicit and very much a part of the detaining of children. If you're not aware of the thousands and thousands of children that are a part of a larger migration that are happening from various forces between capital and labor, these are manifestations of that, but that there's these technologies that are being developed and I think that really connects to what you just said. So, for example, Microsoft has a contract where they're developing facial recognition technology so that anyone who's taken or captured can be cataloged, in a sense. When you were sharing that, it made me think of that in its historical-ness but also at this very moment. LS: Yeah and the thought that I lost, connected to what you just said, is I think that with the eugenics movement, we now call it pseudoscience and those were real scientist and so when we look back on eras and things that were done in science, we can say, "Oh that was pseudoscience and those were individual actors but real science doesn't do that." I think we mislead ourselves that science was birthed from those types of things and so it will always contribute to those things, will always be a part of that. AD: What I'm thinking of now is right now, we are really pulling out themes that the first two guest really helped us articulate, that relate to math and science and all those things are kind of like a deconstruction in my mind of how is this developing, what is the historical grounding, what is this context? But I think another aspect of Abolition Science that you and I have talked about and maybe we can elaborate more is it's not just the breaking down but it's the building up. So, if when we're dismantling something, for what purpose? So, I wanted to maybe hear from you about what you think about that before I ask you more ... I guess give you time to respond. I had a really interesting interaction where someone was asking me, "Okay, here's an Abolition Science podcast, are you saying that we should not have science? Are you proposing to abolish it?" So that was a interesting encounter for me because that's not what I'm thinking. I'm not thinking, "Okay that means that there it's either there is science or there's not science." So I don't know if you have thoughts about this building part and just your thoughts about this idea of is this saying, "Abolishing science." LS: You know, we're saying abolish all of the oppressive things about it and if it comes to at the end of the day, if we do all this talking, all this theorizing, all this conceptualizing, and where we get to is that everything about science is awful, then yes we're saying abolish it but what we're really doing is let's tease these things out and really dissect it to see in math what's the good in it and where does that come from and then what are these awful things that science has done and continues to do and the people who take part in the science, what they do and continue to do and let's try to dismantle that and imagine something new. But I don't know if that answers your question but that is my response. AD: Yeah, I'm trying to understand how things are interconnected with one another so that the mathematical ideas and curriculum that I'm learning has a history, so it's connected to history, it's connected to people, that we're doing these accounting activities, that they're not not connected but I hope and I want to think of ways in which math and science is not just that. That's one aspect of a mathematical practice or a science practice, but that doesn't have to be what it is. So I would respond to that person, or those people, who might be wondering are you saying this, that we need to find a different way of practicing, of grounding, a science in math that is for all of humanity, that is in solidarity with justice, solidarity with people who have historically and are currently in the roughest and most dispossessed positions and by doing that, it'll benefit all of humanity. That's my stance. LS: Yeah, so thank you for that, and everything you just said brings us to our last point that we wanted to talk about which is thinking differently. So let's listen to Dr. Crystal T. Laura speak about the notion of thinking differently. Dr. Crystal T Laura: So that is both a conceptual thing and it's also a material thing, meaning we have to think differently about how we relate to one another and as long as prisons and all of the apparatuses and all of their tools and all of the people who participate in them and all the resources and money that is used to fuel them, as long as we have those things as go-tos, then we always know that that can be an option whenever we feel like folks are disposable, whenever folks rub against our sensibilities and so part of abolition is freeing ourselves from that as the end all to be all and instead really utilizing our imagination to think about how we can focus on relationship building, how we can focus on community building. How we can think about the resources that are needed on the front end. How we can filter and really infiltrate communities with the things that sustain happy and healthy ways of living. LS: So Atasi, what comes up for you in this idea of thinking differently when it comes to science and math? AD: Yeah, well I think generally, or broadly, this idea of thinking outside of what we know is useful in that mathematics and number and thinking of number can seem so constraining. It's kind of the opposite of thinking differently, it's like think like this. So just even proposing to think outside of what's possible, that number doesn't have to mean one thing, or that we can decide how we count things or how we don't and that doesn't have to be told to us. So it just shakes up who decides what numbers are associated with what and for what purpose. So that's how I think thinking differently, that might mean for a mathematical practice, specifically using numbers. How about for you? What does thinking differently mean for you? LS: Yeah, this is definitely in line with what you just said but from a mainstream perspective, I think the thinking differently will have to come from a place of understanding or accepting that there is more than one way to explore and understand the natural world and not holding so steadfast to this idea that science equals truth and recognizing that science has, does unless we make changes, will continue to cause harm to people but we have a whole ... there's STEAM and there's STEM which for folks who are not in education, it's Science, Technology, Engineering, Math and then adding the A to make STEAM is Arts, or sometimes Architecture. So there's whole notions and push to get "underrepresented" or "under-served" folks into the sciences or into the math because that's how they're going to overcome the trials and tribulations of their people. So just getting rid of that idea. That's going to take a lot, a lot of thinking differently to imagine something that isn't that. AD: When you just shared that, it made me think of how science and math are positioned as these pathways of learnings and pathways that have policy around it that support it, that promote tracks in education specifically and so I agree that those should be questioned. Who does it serve ultimately? Who's benefiting from those ways of knowing is what I think about. LS: Indeed, just a thought, so I was on Zocdoc, when was I on Zocdoc? A couple of weeks ago and there was a doctor on there who had ... anyone knows ... Zocdoc's a website where you go and try to find a doctor, you can search by area, you can search by specialty, there was a doctor who had appointments every five minutes. LS:... it's ridiculous, absolutely ridiculous. So just that is like the science and math that this world has birthed that you spend five minutes with someone who's coming in for a routine checkup. AD: Yeah, that really highlights this accumulation of profits kind of ... we're trying to get as many numbers as patients as we possibly can. That's crazy. So just to recap for our listeners, we've been talking about themes that we've pulled from both of our previous guests and just to recap, if you haven't recalled them or you haven't heard them, we were talking about enclosing knowledge, about thinking differently, about the connection of capital and labor and the role of capitalism, about the things and processes having a history, interconnections and interrelations and then dismantling to build what. So, these are six different themes that you and I've discussed but we're also going to be talking with guests in the next episodes about how they might be taking up some of those themes or how they're interacting with science and math specifically. So who are we going to be talking to in these next episodes, Toya? LS: Yeah so we have super dope folks coming on to talk about these things. So they don't use the words Abolition Science and they may not necessarily use the terms or themes that Atasi just mentioned but we feel that these folks are doing dope work and are definitely embodying and doing the things that we're thinking about. So we're going to have the Free Radicals, which is a bi-coastal collective of scientists and science educators. We'll also have Dr. Daniel Morales-Doyle who is a professor at the University of Illinois in Chicago and he has coined the pedagogy and the term ... developed it really, justice centered science pedagogy, which we're pretty excited to have you all hear him talk about that. We'll also have Judy Dow who is an educator up in Vermont, a basket weaver, and she does incredibly, incredibly amazing work thinking through the land and using the land in her curricula with young elementary school children, middle school, all ages really. AD: Absolutely. So we have some great folks coming up and who knows? We'll have other guests that help explore what an Abolition Science might look like specifically on the ground. AD: You just heard a bit from Rebel Diaz. They had a new track that came out this summer, in July of 2018, FVCK I.C.E. F-V-C-K I.C.E, once again Rebel Diaz. So LaToya, when you heard that song, what came up for you? What did you think? LaToya: They're a pretty dope group and it's an amazing song and I think the video, which you mentioned earlier, is pretty powerful. Like you said, the video does take us all to a whole ... (singing-- new world). I'm so sorry, it does take it to a whole new level but specifically what stuck out to me in relation to the conversation that we were having is this thread of history and how with things that are happening at the US-Mexico border are only allowed to happen because they've happened before in many different ways and so the taking of children from families happened during slavery, it happened when children were stolen from their indigenous families and sent to Indian boarding schools and it's happening again at this border. It's happening with mass incarceration that breaks up families and so that thread of history that the past coming to the present really rang true for me in connection to what we were talking about. AD: For me, I was drawn to once again, the same thing of this thread of history, these reoccurring aspects of it and then also the globalizing nature that capitalism is a global project and so that water, land, people and then the ways in which suppression happens through violence and guns and then the militarization, that those are present in allowing capitalism or in enforcing this kind of system in world. So there was a lot in the video and I hope that everybody has a chance to check it out on YouTube, we'll also put a link on our website. In the video, there's a piece where there are corporations that are highlighted and banks that are interconnected with prisons and so that these entities, these organizations that have financial interest in the subjugation of other people and like LaToya, you had just mentioned that's been happening over time. So that it is about profit, these are connected. That's what came up for me. LS: So go listen and listen to all the other songs that have been recommended. AD: Don't forget that you can find us now on iTunes and Google Play as well as many other apps. AD: So many apps, so find us on your favorite podcast app. Also, don't forget to subscribe to our newsletter that you get every other week, through the website abolitionscience.org and then finally, follow us on Instagram and on Twitter. Instagram, @abolitionscience and Twitter, abolition_sci. So we'll see you next time? LS: Yeah, we'll see you next time. AD: Hey, so thanks for listening. Check us out in two weeks when a new episode drops. Sep 4 What is Abolition Science?